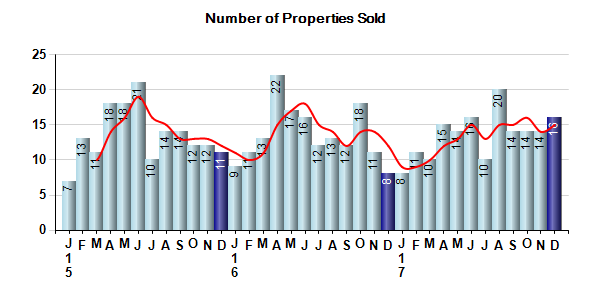 December property sales were 16, up from 8 in December of 2016 and 14.3% higher than the 14 sales last month. December 2017 sales were at their highest level compared to December of 2016 and 2015. December YTD sales of 162 are running equal to last year's year-to-date sales of 162. To learn more about 92014 real estate trends, contact me today!